Poultry and meat industries were rescued from ractopamine but pet owners are about to get a lot of dumped meat and poultry! There's good news about ii ractopamine, plant extracts, and antibiotics but new regulations should put pet owners and parents on high alert! After the USDA directive of November 2013, there began a sell-off of meats and poultry that did not meet requirements. The pet food industry, already using toxic or "waste" poultry and meat, were now set to get a mother lode of poultry and meat that were regulated out of the human food chain. 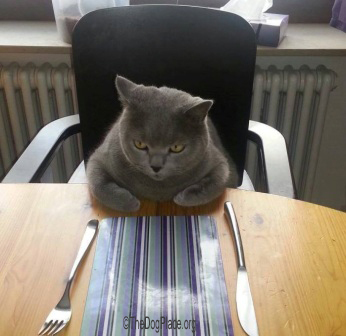 As a cat owner, this was of great concern to me so I took the bull by the horns, firing off a 20 page FAX to Senator Sherrod Brown (who had responded to my pleas to stop the deadly Chinese Chicken Jerky Treats), alerting him about what was in store for the pet food industry. I reminded him that the FDA had not prevented use of plant extracts in meat and poultry processing, despite the fact that they are nutraceuticals. Also that toxins in poultry and meat could be the culprits, instead of propylene glycol and mycotoxins that were blamed in the $5 million dollar 2015 lawsuit against Purina in California. Even though I did not get a response from Senator Brown, I did read the FDA's Regulation of Pet Food 2/16/2016, in which they state what is and what is not food. In the paragraph titled "INTERACTION WITH AAFCO" they state "we believe that continued partnership with AAFCO is vital to the effective regulation of pet food products ..." Since the FDA and AAFCO has always had an alliance, why would they bring it up if they had not been questioned about it? My FAX contained everything that I could find wrong about the AAFCO and industry representation. I do believe that the FDA had some explaining to do - and that is what these website pages were doing. The FDA inspector, Sam's Meat Manager, and a meat manager at another chain said things that convince me that all is not well in at least a few areas of the meat industry and they do not want to lose any money. While ranchers and farmers certainly have reason to be angry, it is angry consumers that the meat processors should be worried about. When consumers learn WHAT it was about the meat and chicken that made them sick or caused their pets to become uncharacteristically aggressive, they may seek some justice. And for me this whole situation is starting to mirror the events that occurred after the pet food melamine recall. Here are examples of the ii consequences of ractopamine. In 2012 an Oregon farmer was killed and eaten by his hogs. 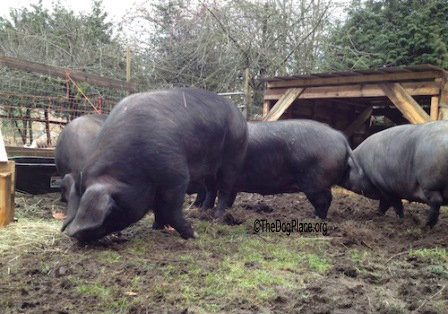 The FDA inspector said the hogs were extremely large, several exceeded 700 pounds! Friends said the farmer had grown increasingly afraid of his aggressive hogs. The investigation concluded that the growth hormone in the swine feed caused the abnormal growth and the aggression. Since my cats (which are on a raw meat diet) experienced aggression and many more adverse reactions due to the pass through presence of “stress hormone mimicking” drug ractopamine in the meat supply, I had no trouble believing the news about the farmer. I have trouble with a food safety system that allowed it to happen. It would not surprise me if the entire fault could be traced back to the industry representatives at the AAFCO, who may have influenced government volunteers, causing decisions to be based on pressure and not on testing or research. It should be noted that AAFCO (a non-profit organization) is made up of volunteers from local, state, and federal agencies, plus volunteers from industries that AAFCO regulates. Those include pharmaceutical, chemical, and pet food industries, all of which may be responsible for ractopamine’s approval. I feel confident that Senator Sherrod Brown has taken action to save the pet food industry from disaster, so thank you Senator Brown!